Although it is a bit unseasonably brisk this morning these past few weeks we have had a stretch of beautiful and at time hot weather. We have been keeping ourselves busy with camp and playing around town during the week but on the weekends we have been striking out to local haunts. 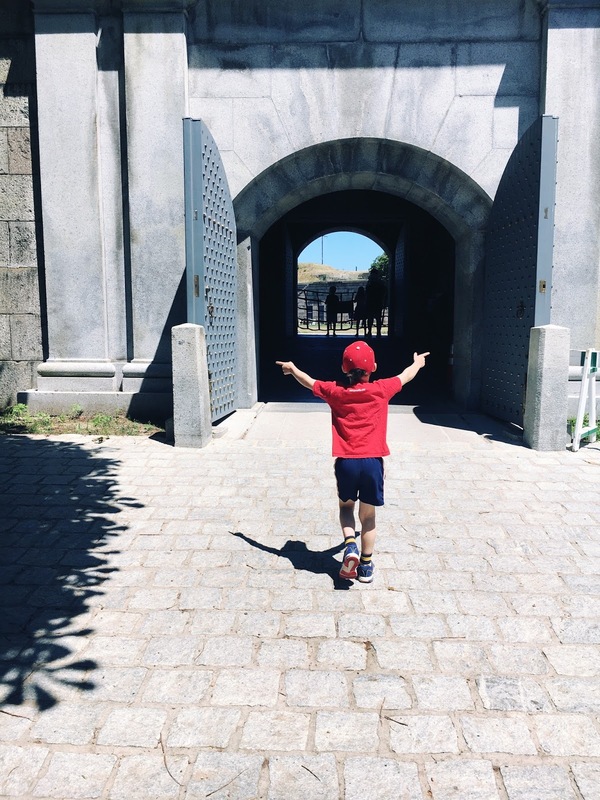 We went to Castle Island, which is neither an island anymore nor does it have an actual castle. This can be a a bit disappointing to the 5 year old set but Oliver was excited to explore the fort and not having been to the South Boston spot since I was a kid it was a great way to spend a Sunday. We also finally made to the beach! Huzzah! And let me tell you if there was any concern about Huck fitting into this family, he will do just peachy because he is a beach bug! 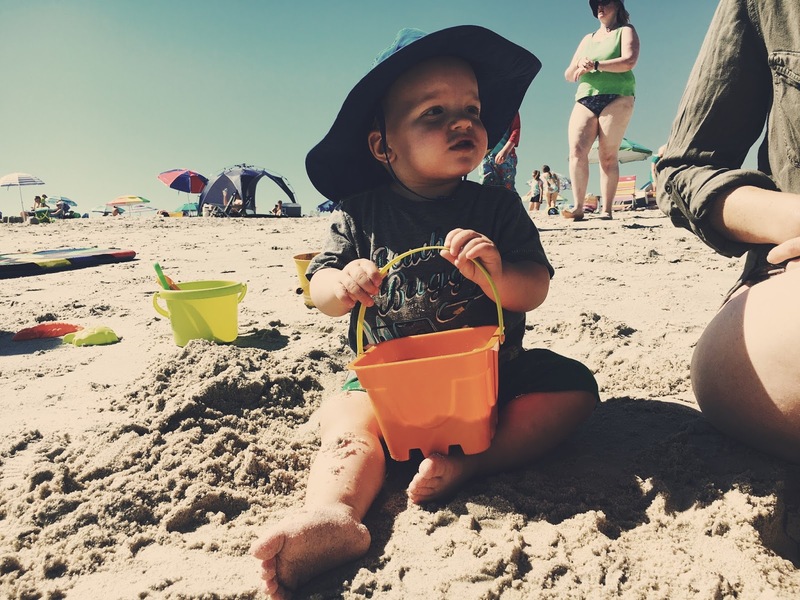 He loved dipping his toes in the cold ocean and took to playing in the sand like a natural. Hoping to make some more regular trip up to Crane Beach in the coming weeks for sure. So with camps and more sunny, beachy explorations and dinners with friends I would say that this Summer is shaping up just wonderfully.